A full bodied beer label for the Bird Brain Brewery’s IPA. This label was a new exploration to their first successful IPA. 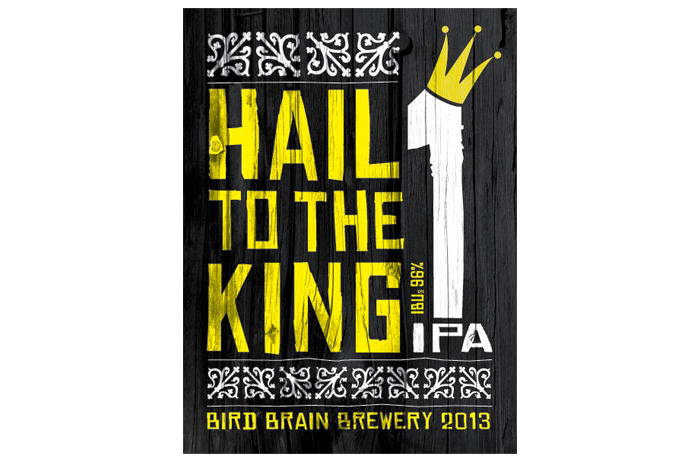 Aptly named “Hail to the King” to instill a sense of reverence and quality to this hoppy brew.